If you feel fit and healthy, checking in with your doctor for an annual physical might be the last thing on your to-do list. However, Shawn Veiseh, MD, encourages you to make time for this critical part of preventive medicine. 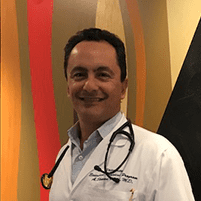 Dr. Veiseh offers annual exams at his private practice, University Executive Physical Program, in the Westwood neighborhood of Los Angeles. He has on-site capabilities to provide many of the health screenings recommended at different stages of life. If you’re due for an annual exam, call board-certified internist Dr. Veiseh or schedule an appointment online today. Why do I need an annual physical? Your annual exam is the foundation of your preventive health care. During these appointments, you check in on your health, have needed screenings, and discuss what you can do to improve your overall wellness with an expert like Dr. Veiseh. Many health conditions, such as high blood pressure, high cholesterol, and cancer, don’t cause symptoms in their early stages. The screenings and tests you have during your annual exam reveal disease before it causes problematic symptoms and disrupts your life. What should I expect during an annual physical? When you have your annual exam, make sure to take your identification and insurance card. Once you check in, Dr. Veiseh or a member of his staff invites you to the office where they check your height, weight, and blood pressure. You then review your personal and family medical history with Dr. Veiseh. This is an excellent opportunity to bring up any changes you’ve noticed in your health and well-being or specific health concerns. Make sure to tell Dr. Veiseh about any prescription or over-the-counter medications you take, including vitamins and supplements. Dr. Veiseh continues your exam by listening to your heart and lungs and feeling your abdomen for abnormalities. If necessary, he can perform pelvic exams and Pap smears. You can ask Dr. Veiseh for advice on how to improve your health. His goal is to help you lead a healthy and active life. He can suggest small and sustainable changes that can significantly improve your wellness. What preventive health screenings should I have during my annual physical? Depending on your age and gender, you may need to have certain health screenings to check for signs of disease. Dr. Veiseh provides personalized advice on how often you should have screenings based on your age, overall health, and your test results. For example, if you have a personal or family history of cervical or prostate cancer, you should have more frequent screenings than someone who doesn’t. Call Dr. Veiseh to schedule your next annual exam today, or use the online booking tool to request an appointment.